Pogledajte najbolje fotografije iz svijeta, 25. oktobar 2017. 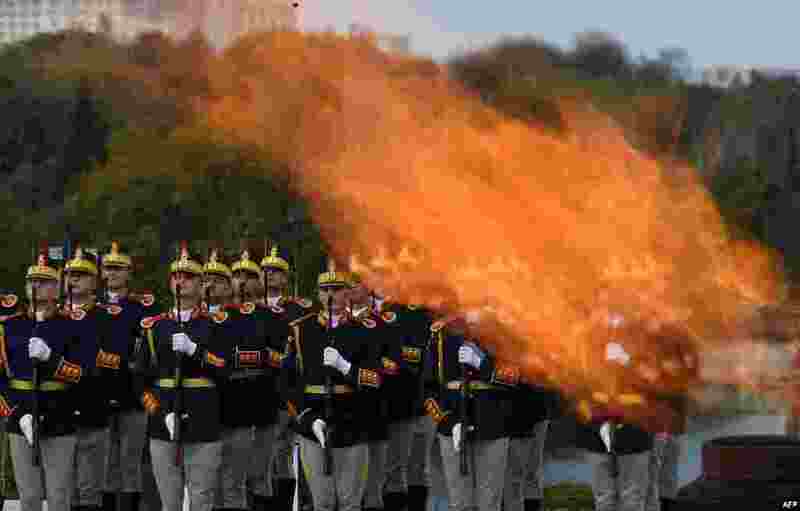 1 Members of the Romanian military take part in a celebration of the Romanian Army Force's Day, next to the Monument of Unknown Soldier, at Carol Park in Bucharest. 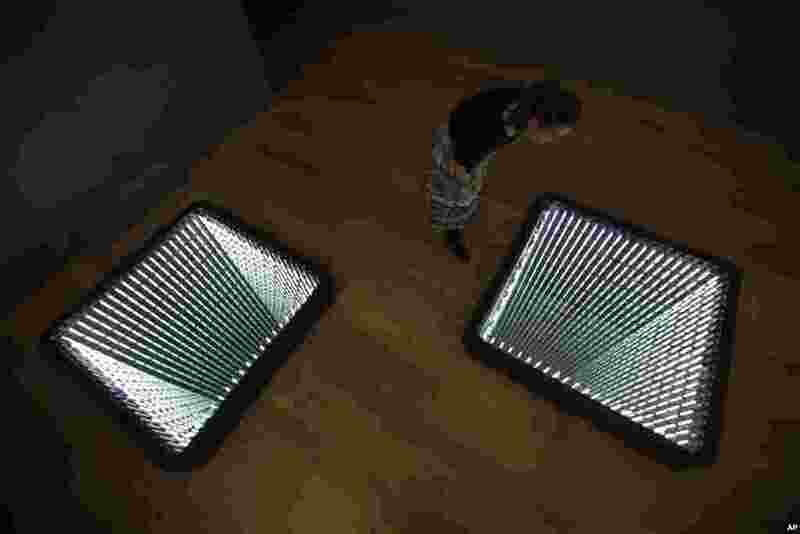 2 A staff member poses for photographs while looking at Chilean-born artist Ivan Navarro's light box and mirror installation, "The Twin Towers," during the media preview for the "Age of Terror: Art since 9/11" exhibition at the Imperial War Museum in London. 3 A South Sudanese refugee girl is seen at the Nguenyyiel refugee camp during a visit by U.S. Ambassador to the United Nations Nikki Haley (not pictured) to the Gambella Region, Ethiopia, Oct. 24, 2017. 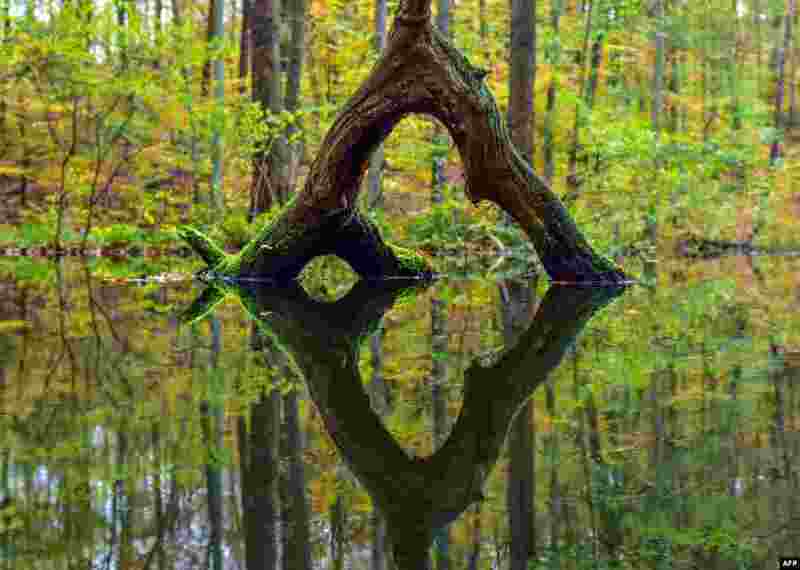 4 The reflection of a tree in the water can be seen in the Nature Park Schlaubetal near Seedichum, Germany.